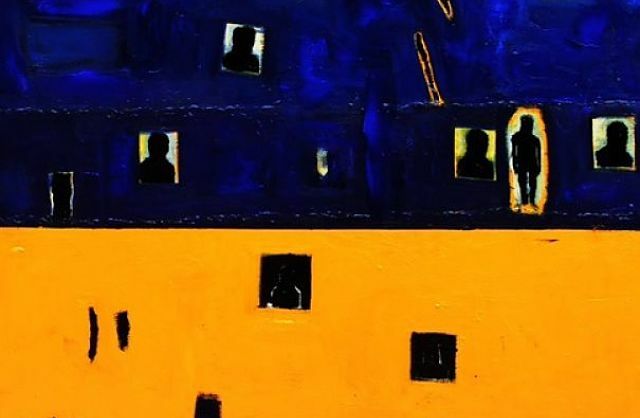 New York (TADIAS) — Several Ethiopian artists are participating in international art fairs this weekend in New York City including sculptor Elias Sime, painters Emanuel Tegene and Dawit Abebe, as well as conceptual artist Awol Erizku. 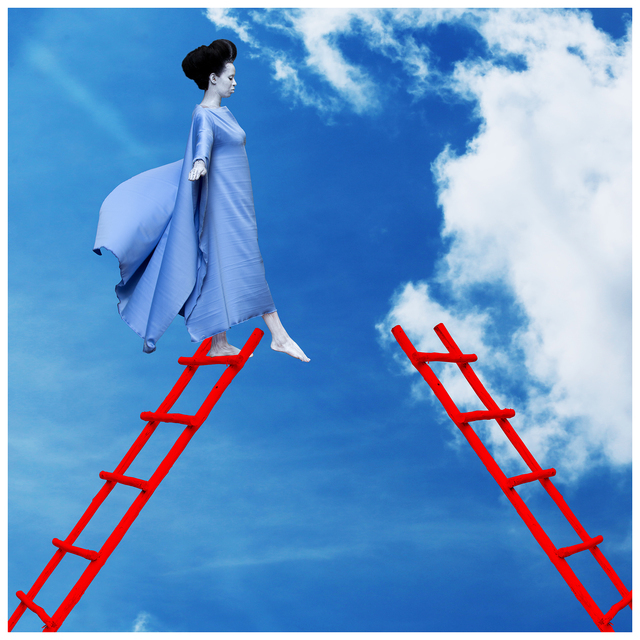 Photographer and artist Aïda Muluneh’s work is also on exhibit at David Krut Projects gallery. 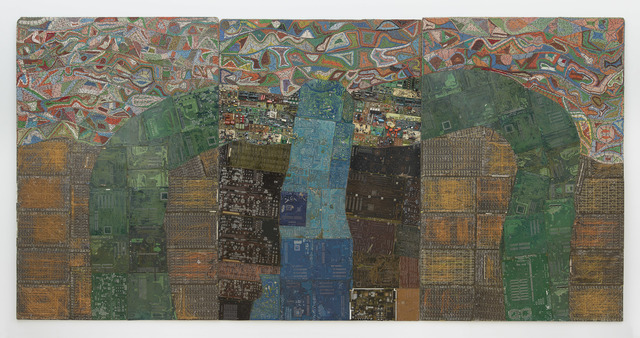 Elias Sime is exhibiting artwork at the 2016 Armory Show from his latest series entitled Tightrope, which are designed using recycled parts from machines and retrieved from the Menalesh Tera section of Addis Ababa’s Merkato — Africa’s largest open-air market. In 2002 Sime designed and built The Zoma Contemporary Art Center in Addis, and has traveled extensively throughout Ethiopia to study diverse indigenous ritual practices. Sime’s artwork has been exhibited at the Studio Museum in Harlem, the Santa Monica Museum of Art, and Dak’Art Biennale in Senegal. His work is part of the collection at the Metropolitan Museum of Art, Perez Museum in Miami and the North Carolina Museum. 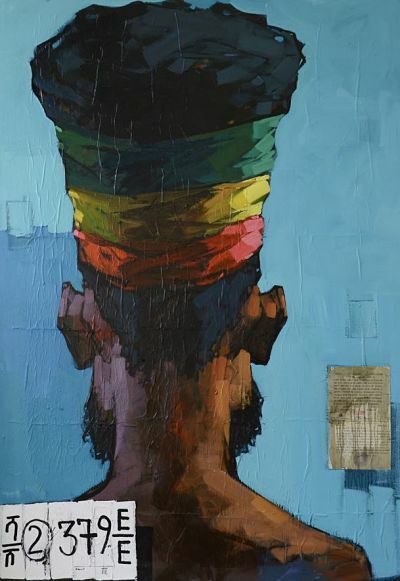 Emanuel Tegene’s artwork is part of the Armory’s Focus on African Perspectives highlighting emerging artists and galleries from Ethiopia, South Africa, Kenya, Nigeria, and Ivory Coast. Tegene previously worked as a cartoonist for Saloon Ethiopia and resided in Israel before returning to Addis Ababa. According to the Armory site, Tegene is now “largely occupied with exploring the possibilities created by artists who are responding to the changing cultural dynamics of the society around them.” Tegene’s work has been exhibited at the Ethiopian National Gallery as well as the African Union Golden Jubilee, the Institute of Ethiopian Studies Museum, and the Italian Cultural Institute in Addis Ababa. Artwork from Erizku’s ‘New Flower – Images of Reclining Venus’ is on view at the 2016 Armory at the Ben Brown Fine Arts booth. Erizku strives to re-conceptualize a space for blackness in the contemporary art world and in museums, stirring up a much-need conversation about moving black bodies from the sidelines and bringing them to the foreground in modern art portraiture. 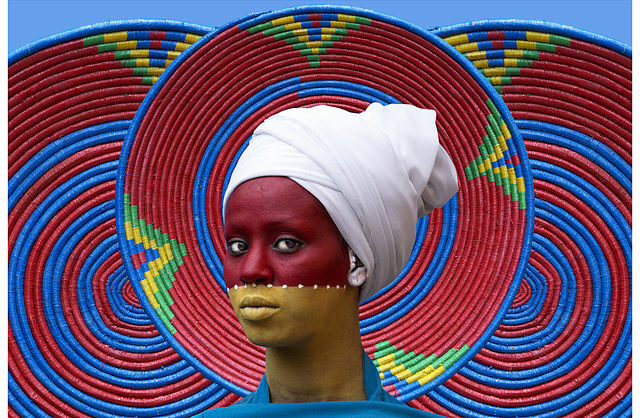 Ethiopian photographer and artist Aïda Muluneh’s latest work entitled “The World is 9” opened on March 3rd at David Krut Projects gallery in midtown Manhattan, consisting of images centered around the themes of life, love and history. The title comes from an expression that Muluneh’s grandmother often repeated: “The world is 9; it is never complete and never perfect.” Muluneh says: “I am not seeking answers but asking provocative questions about the life we live – as people, as nations, as beings.” Aïda Muluneh is the recipient of the 2007 European Prize at Rencontre Africaines de la Photographie in Bamako, Mali as well as the 2010 CRAF International Award of Photography. Her artwork is part of the permanent collection at the Smithsonian National Museum of African Art in Washington DC and the Sindika Dokolo Foundation in Berlin. Muluneh is founder of Ethiopia’s first international photography festival – Addis Foto Fest and the arts organization DESTA (Developing & Educating Society Through Art).